Don’t wait until things go wrong; keep your air conditioning, heating, plumbing and electrical systems tuned up and ready to go with a little help from Cornerstone Pros – Air Conditioning, Plumbing and Electrical and you’ll be able to enjoy a carefree summer. Since May begins their busiest time of the year, now is the time to schedule AC checkups and tune ups. But if you do have a problem, Cornerstone will be there to help and thanks to the addition of new 5600 sq. ft. warehouse space, they will be able to better serve their customers. 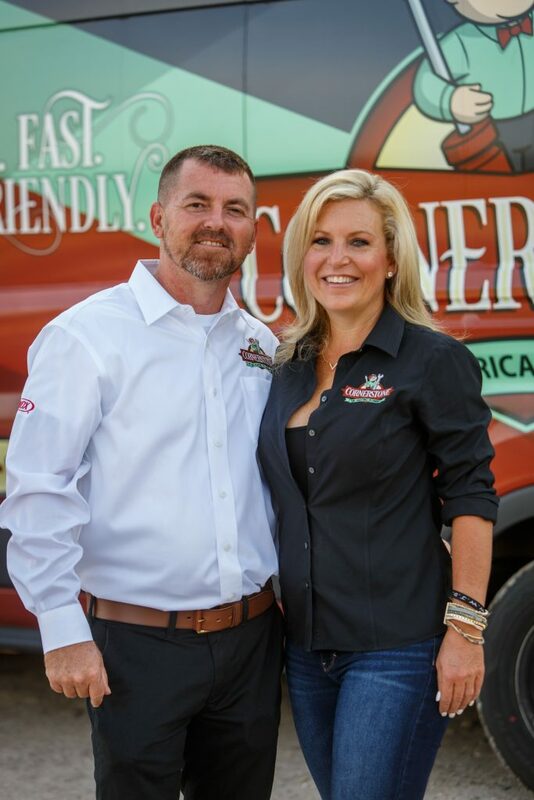 “We’ve added additional square footage warehouse, so we can stock more AC units, purification systems and parts, so that we can meet customers’ needs in an even more timely manner,” said Cornerstone owner Dana Spears. Stay Cool this Summer: You can be assured that your AC will run smoothly this summer after a tune up from Cornerstone Pros but if you do find yourself getting hot under the collar due to an AC on the fritz, you can trust Cornerstone Pros to give you honest, reliable information about what’s going on with your unit and whether it can be saved or not. Cornerstone’s skilled technicians are there for you 24-hours a day whenever you need help. Cornerstone services all brands and is always happy to provide you with a free estimate on installations or a second opinion on repairs. They make it a point to get to emergency calls within the same day so that you can get back to living your life. Dana says that Cornerstone installs Generac Home Standby Generators and that if the electricity does go out at your home, your power will transfer to the generator without missing a beat. If you live in an area where even smaller storms typically knock your power out, this would be a great addition to improve your quality of life at home. Expert Electrical Service: In addition to installing generators for your home, Cornerstone’s certified technicians can expertly handle any electrical need in your home including adding or replacing lighting and fixtures, installing LED, adding or replacing ceiling fans and installing cables for cameras or media equipment. Plumbing Problems: From small problems like a clogged pipe to larger ones such as a whole home re-pipe or installation of a new water heater, you can trust the pros at Cornerstone to fix your issue honestly, reliably and quickly. Water Treatment & Purification Systems: In addition to expert plumbing services, Cornerstone can install personalized well water treatment and water purification systems. Not only will these systems remove impurities from your water and improve its taste but because they remove hard water, it will prevent fixtures in your home from discoloring and rusting and increase your appliances’ longevity and help them perform better. Helpful Financing: Most people don’t plan for their HVAC system or hot water heater to break but Cornerstone Pros offers financing plans for every budget and will help you restore your home without breaking your bank. They even offer financing for home improvement projects like installing a Whole Home Standby Generator or Water Purification System. Thanks to their hard work and dependable, friendly, honest service, Cornerstone Pros – Air Conditioning, Plumbing & Electrical has become the area’s top choice to call for heating, air, plumbing and electrical issues. From renovations and new equipment installations to emergency repairs or service check-ups, their team of certified AC technicians, Electrical Techs and Plumbing specialists blend innovation with old-school values to deliver 100-percent satisfaction. Born and raised in the area, it is important to Dana that Cornerstone be known as a company that her community can trust. The family owned business of 12 years prides itself on hiring the best local technicians and customer service professionals available. She and her husband, James Spears, also support local charities and schools. 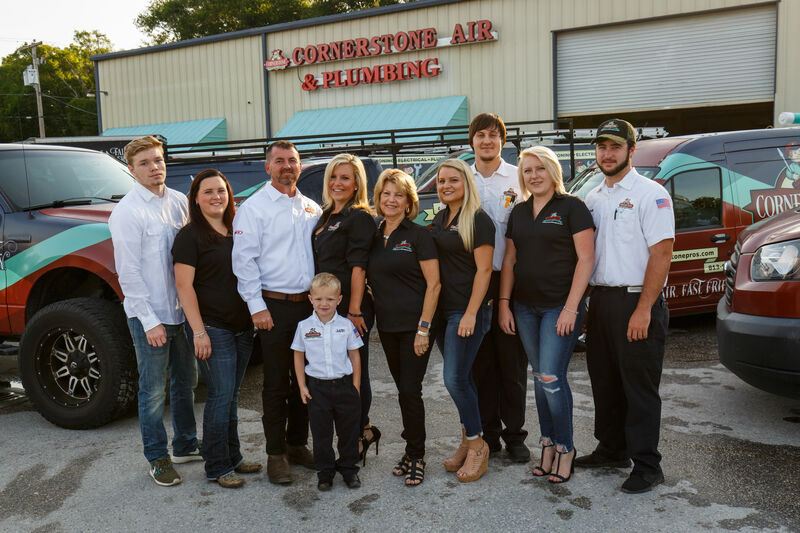 For honesty, reliability, and expertise, give Cornerstone Pros – Air, Heating, Plumbing & Electrical a call today at (813) 949-4445. 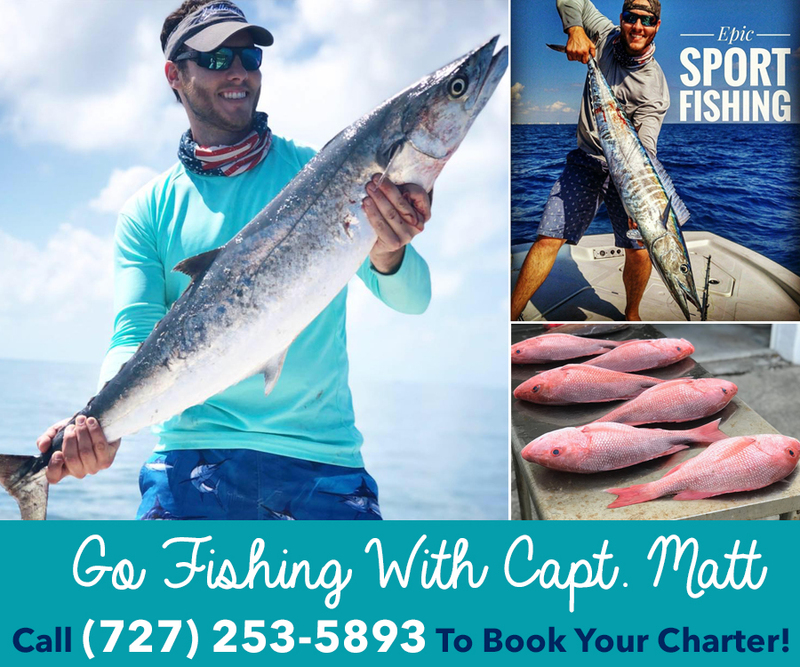 You can also get more information about the specials and services they provide at their web site www.cornerstonepros.com.